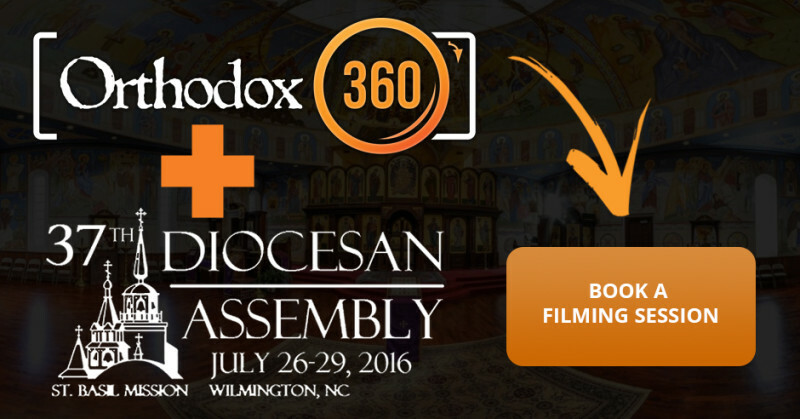 Orthodox 360 is now offering welcome videos to parishes and missions filming either on-site or at jurisdictional and diocesan gatherings using green screen technology. Using a green screen dramatically reduces travel expenses, enabling us to offer professionally filmed and produced videos at a mere fraction of the cost while still providing a fully customized video which appears to have been shot on location. These videos, when shared on the church’s website and social media accounts, provide a very personal introduction, making potential visitors not only feel that they are welcome but also that the church is actively committed to reaching out and engaging the larger community. Your parish members can then share this very personal welcome message with their family and friends, saying “Hey, this is the church that I go to – check it out!” You can also use Facebook advertising to share the video with people who live in the local vicinity, inviting them to “come and see”. We film your video at your jurisdictional or diocesan gathering in our mobile studio. The filming process takes about 10-15 minutes for a 1-3 minute video, giving more than enough time for multiple takes, which would later be edited back in the office. For those interested, scripts are provided in advance to give ideas and help you make sure that you don’t miss anything. We will also provide feedback and suggestions during the shoot so that your video turns out great! Back in the office, we assemble your welcome video, adding assets which you email to us including a photo of your church to replace the green screen and additional photos (or video) for a dynamic slideshow of your church and community. On top of this we add background audio, transitions, titles, lower-thirds, captions, as well as intro and closing screens. We then send you a preview of the video for your review and make as many revisions as necessary until you’re totally happy with it! We send you the final video and help you put it on your website and social networks. 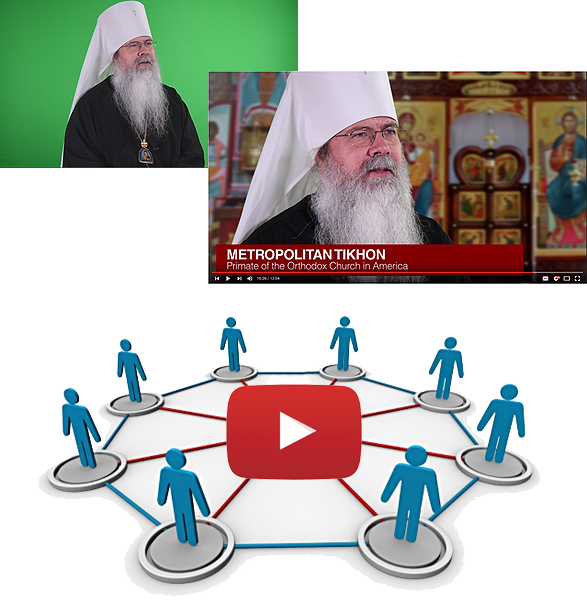 We also load a copy on the Orthodox 360 YouTube channel and the Orthodoxy in America smartphone app. Additional uses include showing it at festivals, local fairs, and other venues. We also give you some ideas on how to best share the video with the local community to reach potential new members. Finally, we’ll show you how to see how many people have viewed and shared the video with others!